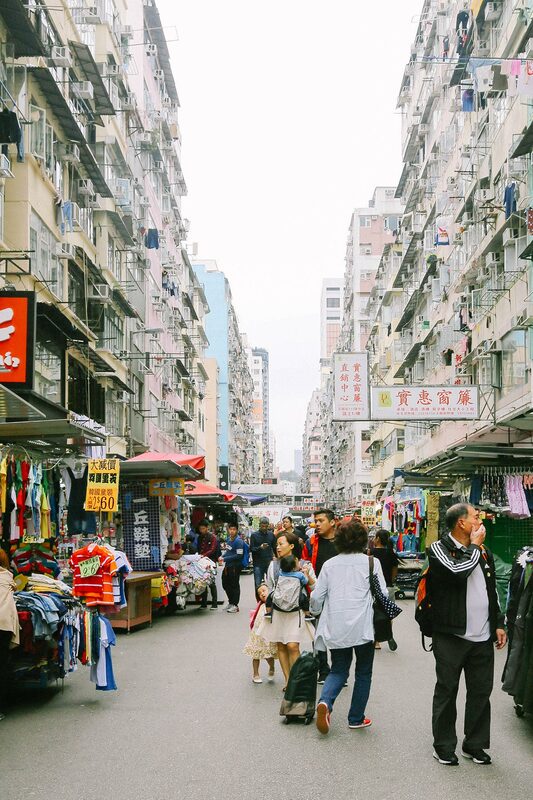 A few weekends ago, I took my second whirlwind trip to Hong Kong and I’ve seriously fallen in love with this vibrant city. A truly multicultural and bustling place, you can find everything here; all jam-packed into a condensed and easily accessible area. 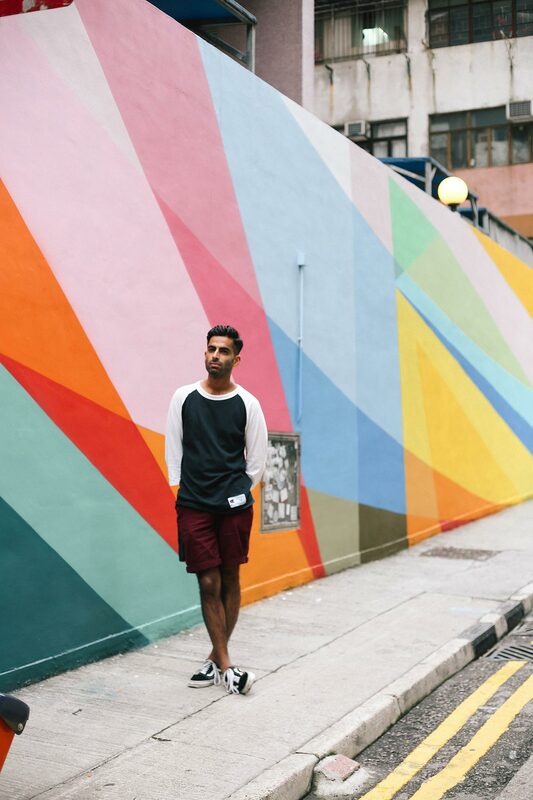 A jungle of apartment blocks, full of color, characters and contradictions; the city has an incredible energy which made me feel revitalized and inspired. 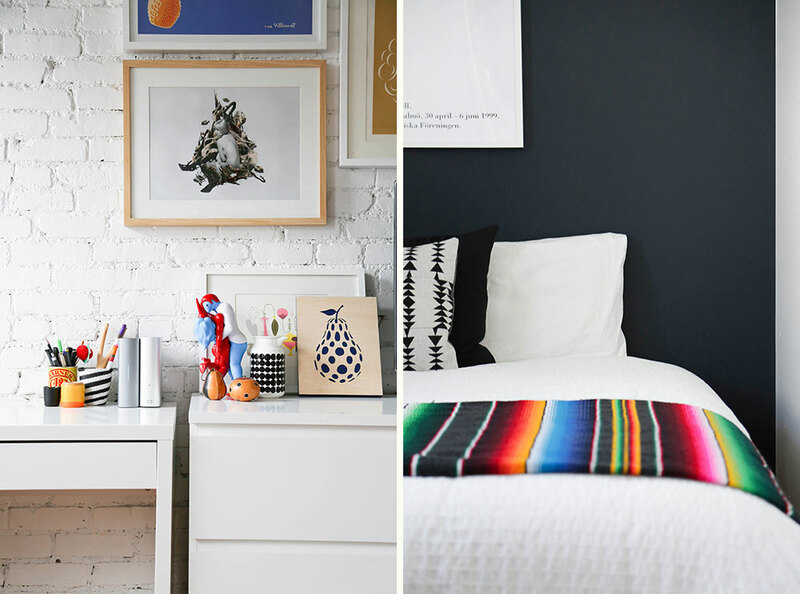 Here’s a guide to some of my favorites in and around Central! 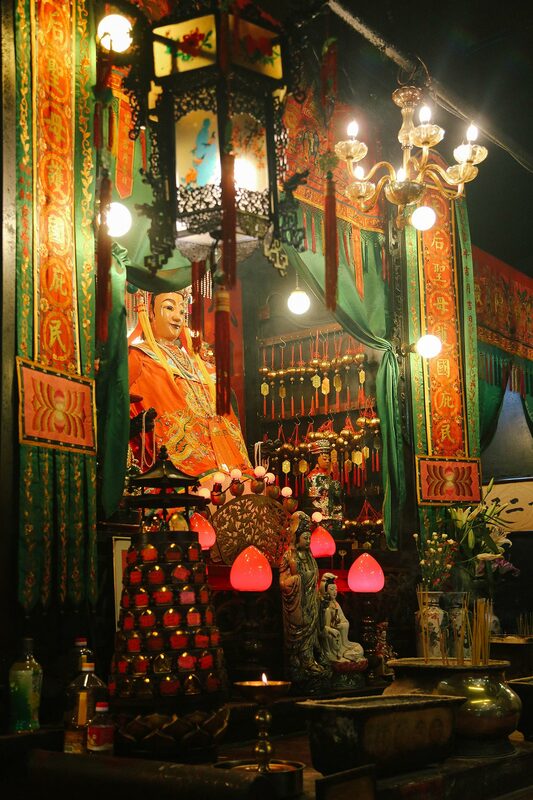 Forever my favorite temple in Hong Kong, the atmospheric Man Mo Temple is filled with incense smoke. 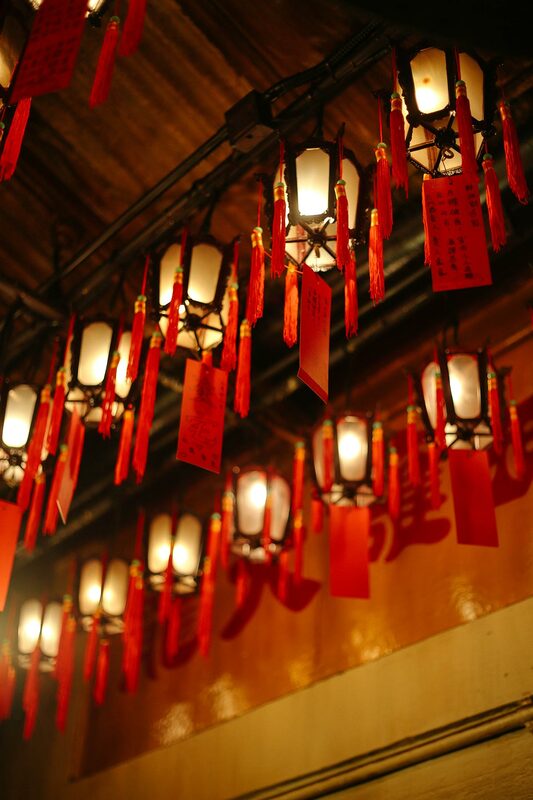 In tones of red and gold, there are lanterns and coils of incense hanging from the ceiling. Dedicated to the gods of literature and war, it’s a place to pray for both success in academia and to settle disputes. 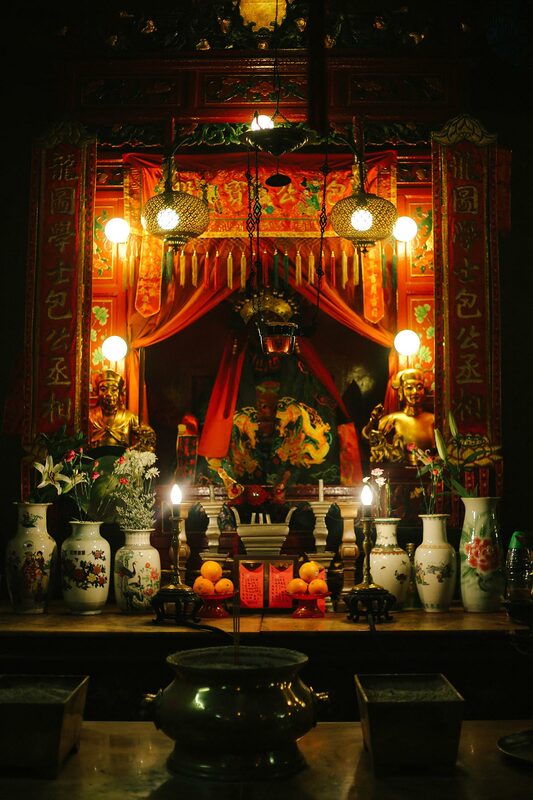 Tin Hau is the Goddess of the Sea and temples honoring her are usually found along the coast. This inner city temple is an exception to the rule; it was once close to the ocean before successive land reclamations took place. 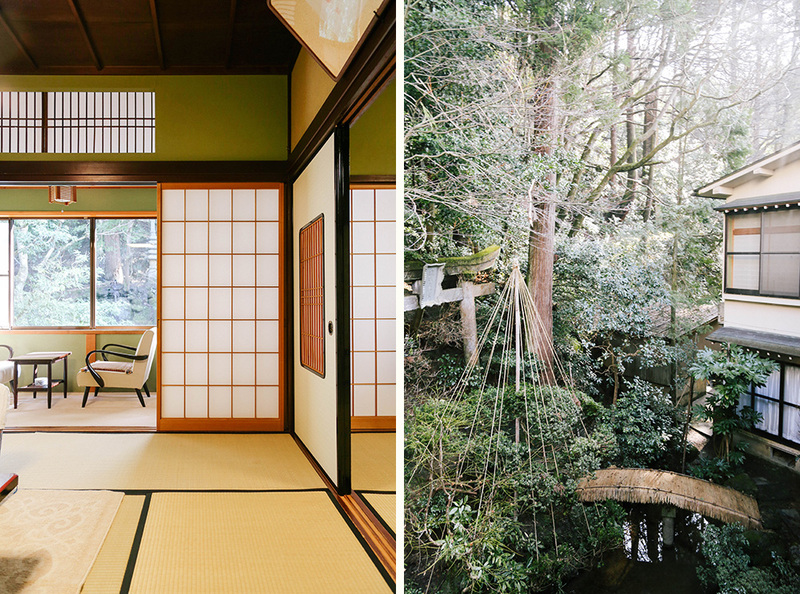 Outside it’s surrounded by greenery and the Temple Market in the evenings, while inside, incense lingers in the air. 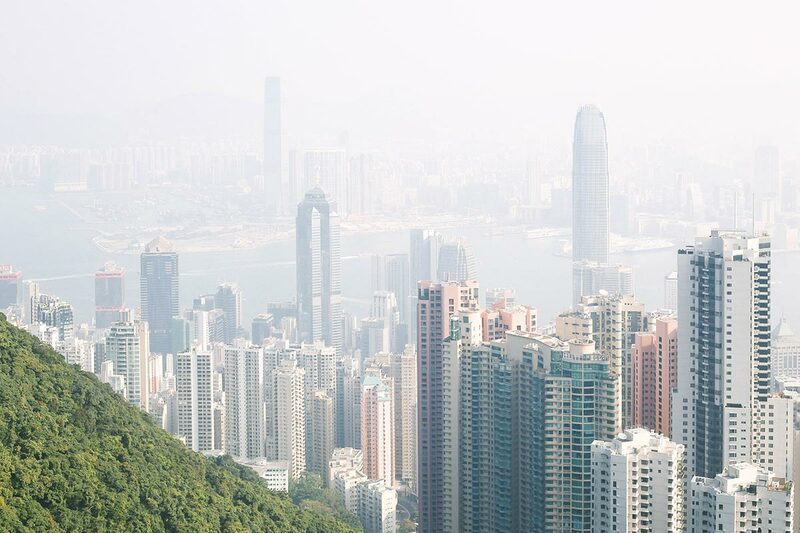 Offering a most spectacular view of Hong Kong, Victoria Peak is a mountain overlooking the city and the highest point on Hong Kong island. 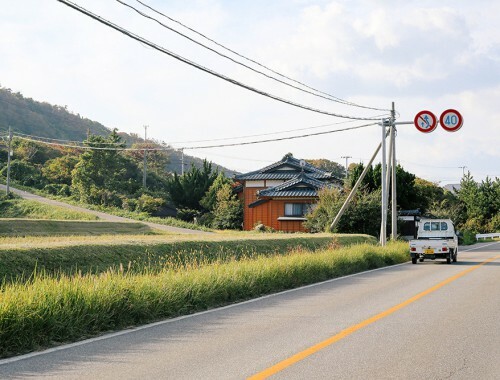 The Peak Tram is the most popular way to reach the summit, with the 120-year-old funicular railway transporting passengers through a vertical jungle of trees and towers alike. 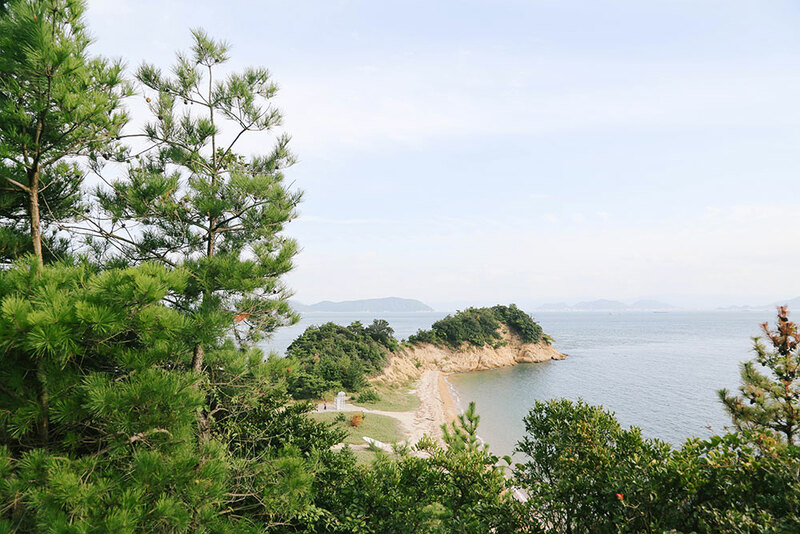 The classic trip is quick at only seven minutes, but provides sprawling and stunning views of the harbor. The best views are seen when heading from Tsim Sha Ssui towards Central. 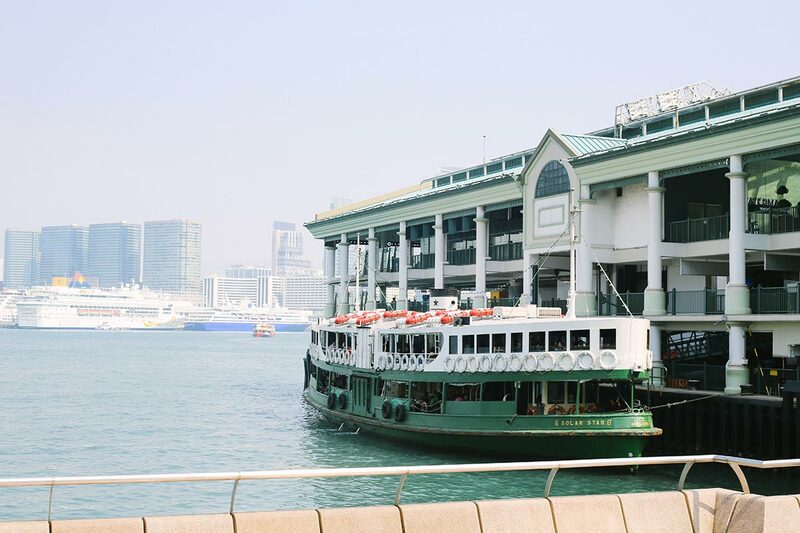 The iconic green and white ferries have grand names such as Celestial Star and Morning Star and depart every 6 to 12 minutes. 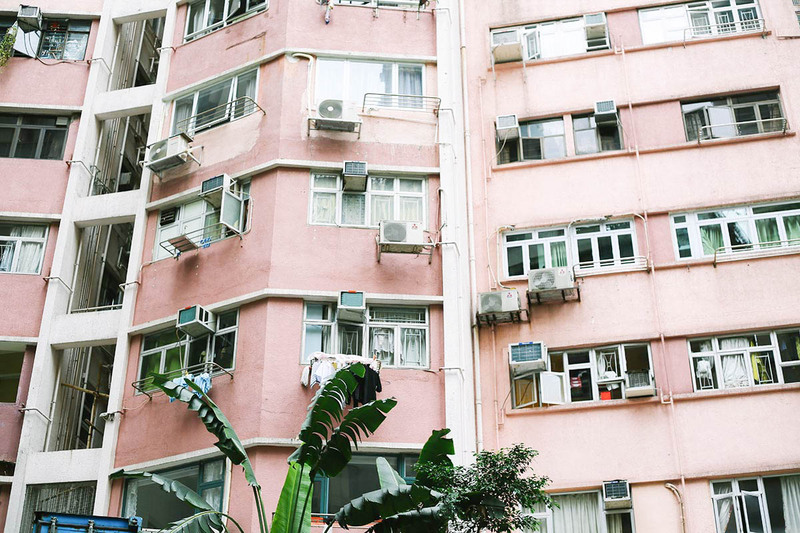 Choi Hung is one of the many sprawling public housing estates in Hong Kong, made famous thanks to it’s geometric architecture and pastel rainbow color scheme. 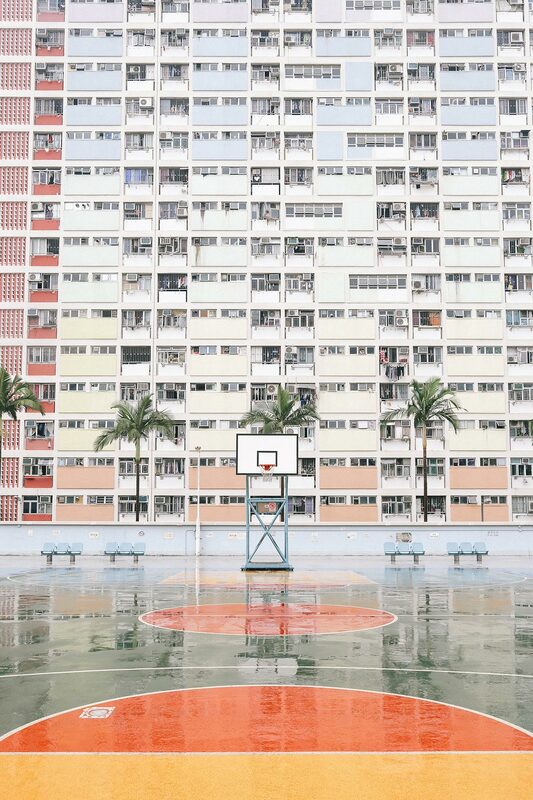 Housing nearly 19,000 people and famously photographed by Michael Wolf, it is particularly photogenic from the sports courts found on the roof of the car park. 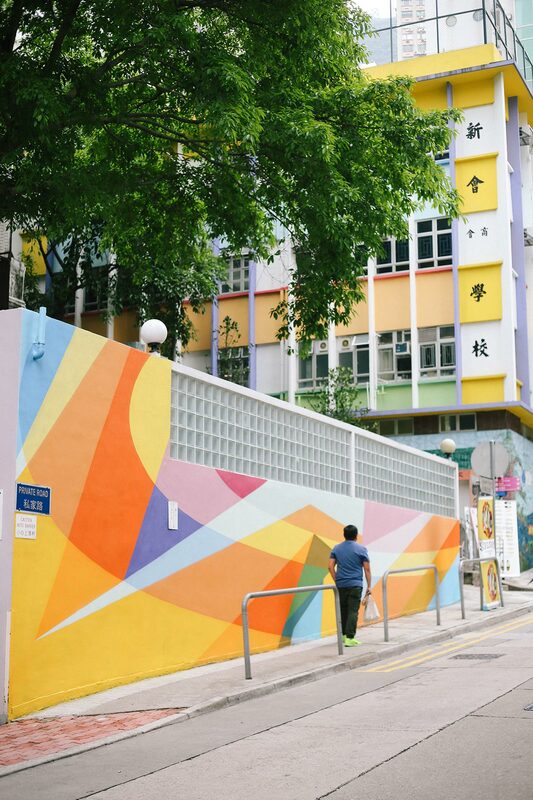 These colorful murals are wrapped around the buildings on Square Street and the vibrant colors are hard to miss. It took a little hunting to discover the artist, but I eventually found they are by Pasha Wais; an artist based between Hong Kong and Saint Petersburg. 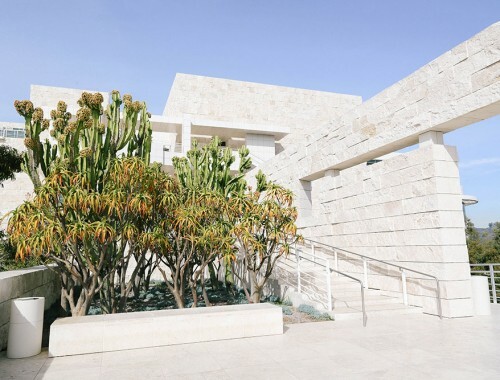 They were only recently finished, so now is the ideal time to visit. 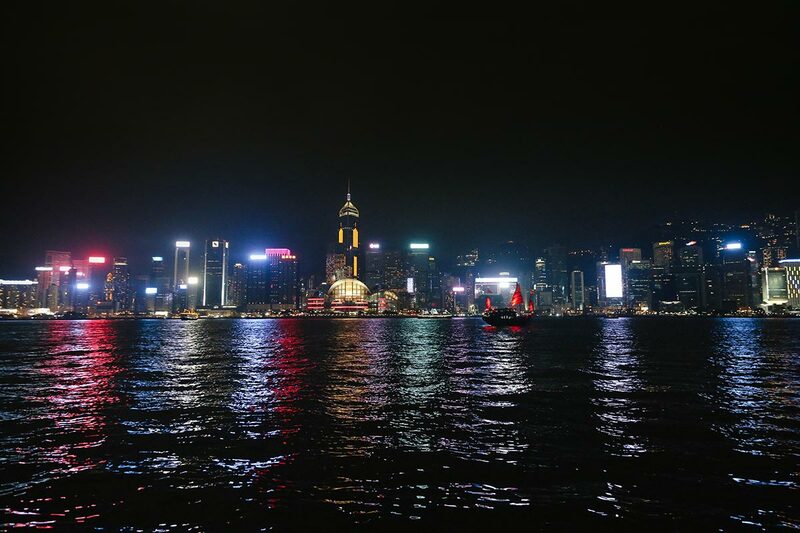 The real star here is the night view of Victoria Harbor itself, with reflected lights twinkling in the water. Each evening at 8pm you can also see a light show, with synchronized projections and lasers on buildings either side of the harbor. Though one of the main tourist attractions in town, it’s a little underwhelming; come for the view itself, not for the show! 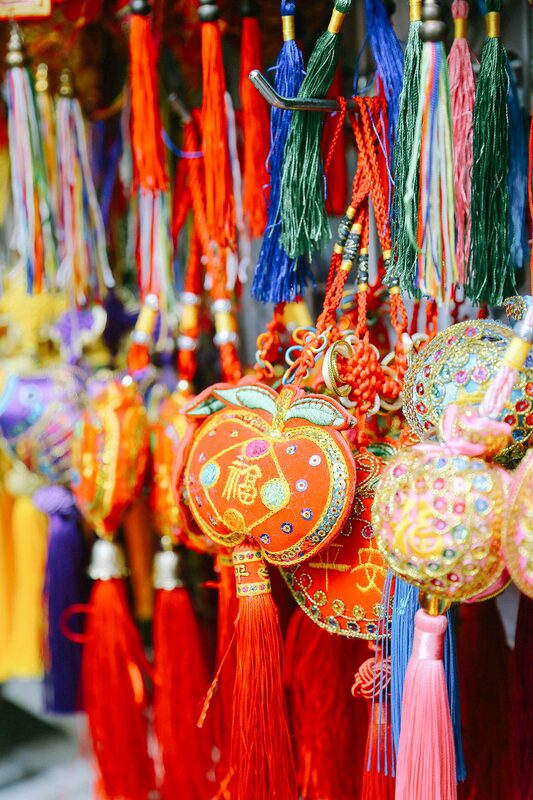 The Cat Street Markets on Upper Lascar Row are over 100 years old and sell all manner of treasures; ceramics and charms, postcards and coins. 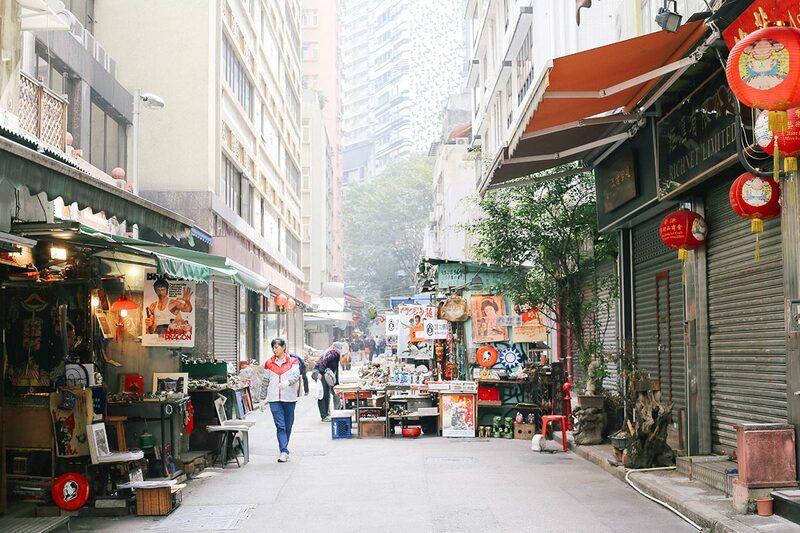 The short street offers everything from souvenirs and replicas to antiques and propaganda. 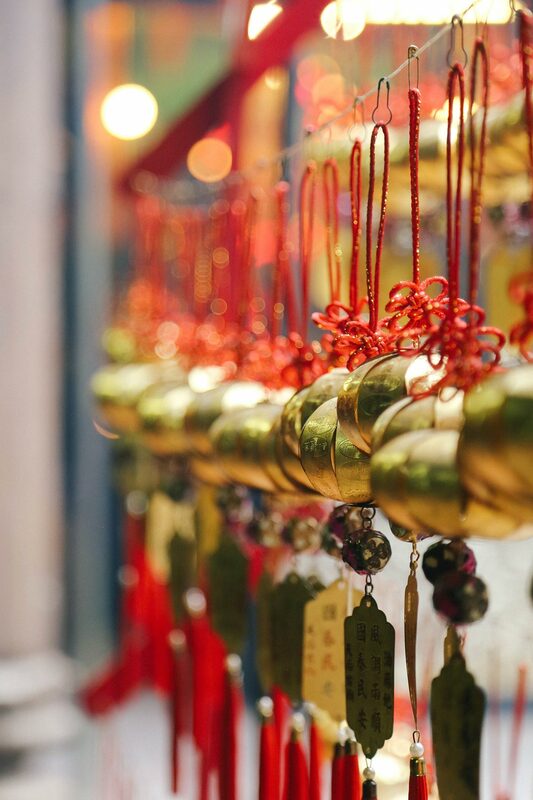 Located close to Man Mo Temple, it’s well worth a wander in the early morning when the sellers are setting up for the day. 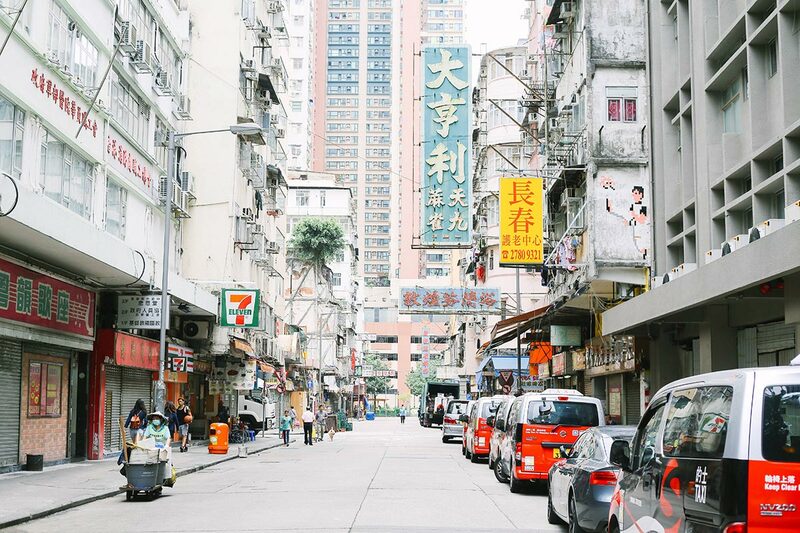 At Fa Yuen Street and Mong Kok Road, there’s a small fresh food market with a wide range of local delicacies, such as live fish, crab and frogs. Outside, the street market runs north from here and is a colorful maze, with stalls selling everything from exotic fruit to clothing. 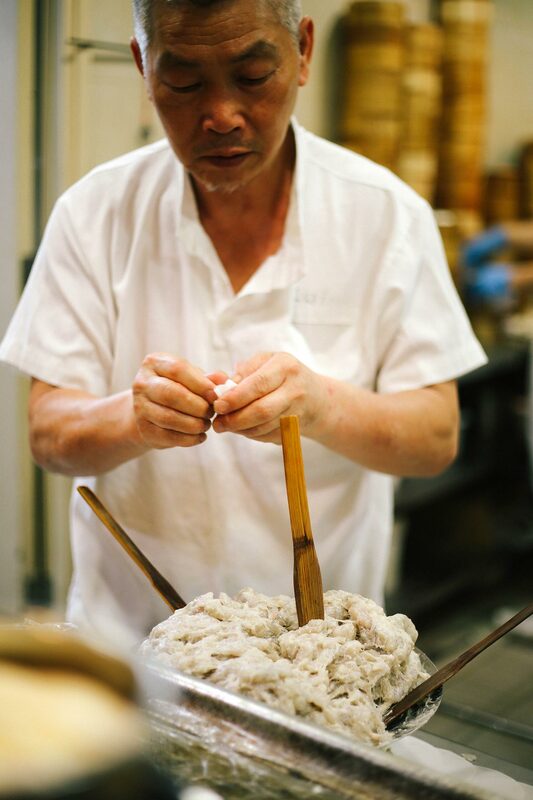 Stop at Kee Tsui Cake Shop, a bakery offering classic Cantonese pastries such as red bean cakes. 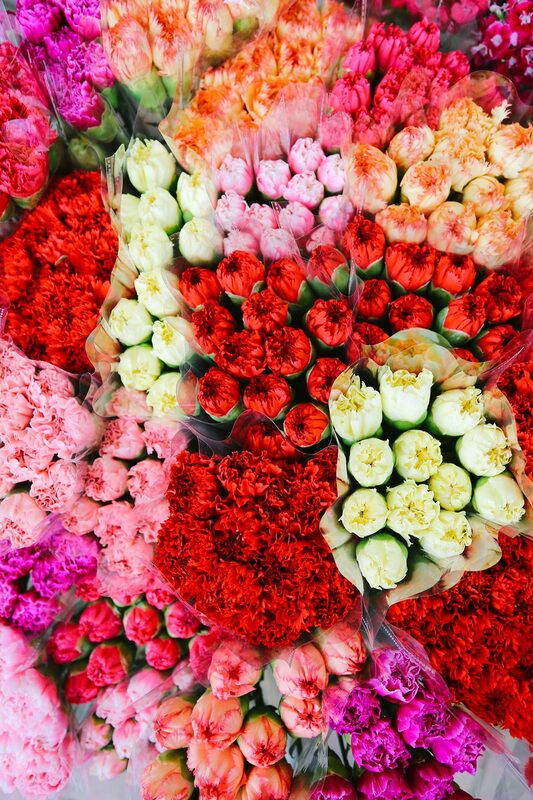 These lovely markets are a hive of activity and worth a visit, even if you can’t take flowers home with you! 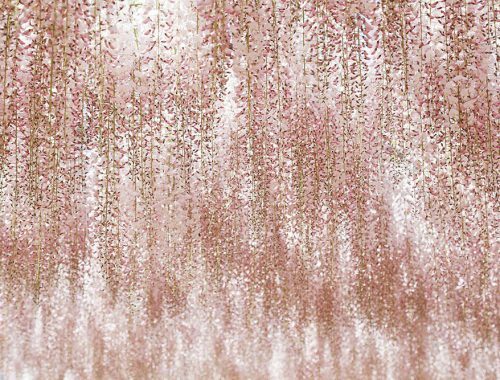 The streets are lined with shops offering all manner of plants, from extravagant imported flowers and manicured orchids, to lush ferns and cacti. 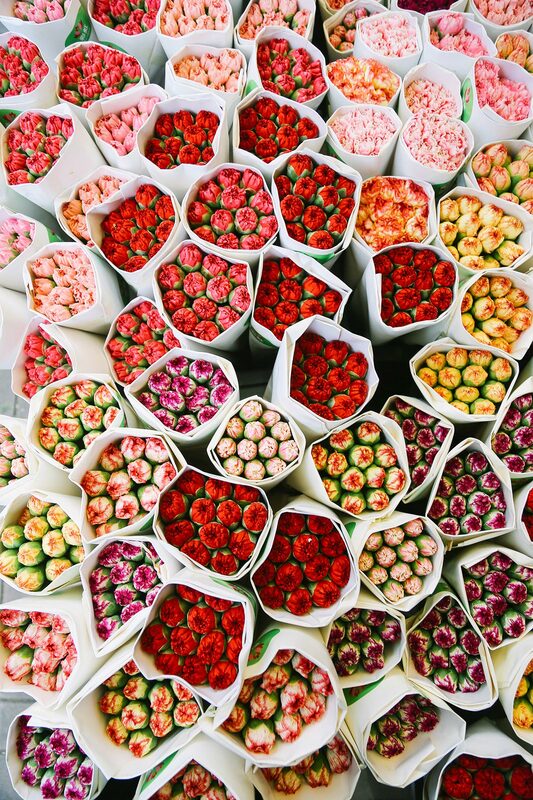 Hing Fat Flower is easily my favorite, with an amazing range of unusual flowers in a more muted palette. 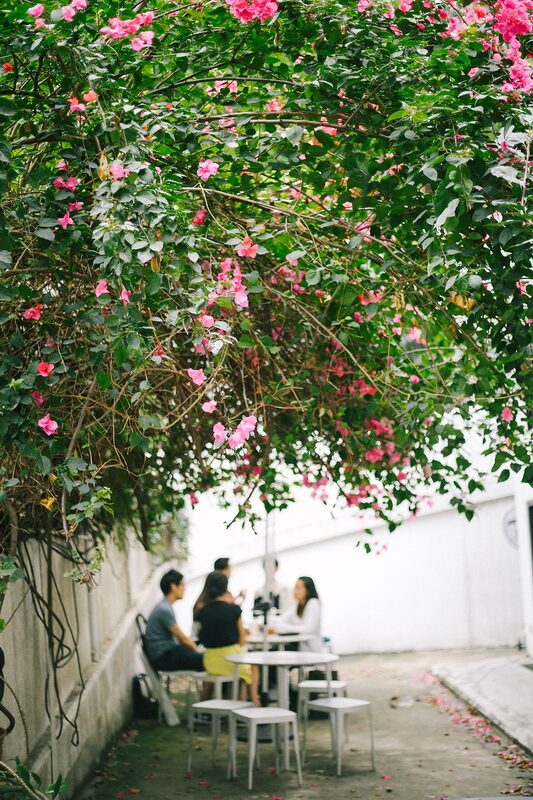 Located at the end of the Flower Markets, Yuen Po Bird Garden is a gathering place for local bird enthusiasts. It’s certainly not for everyone and is rather heartbreaking, but it is an insight to this local culture. 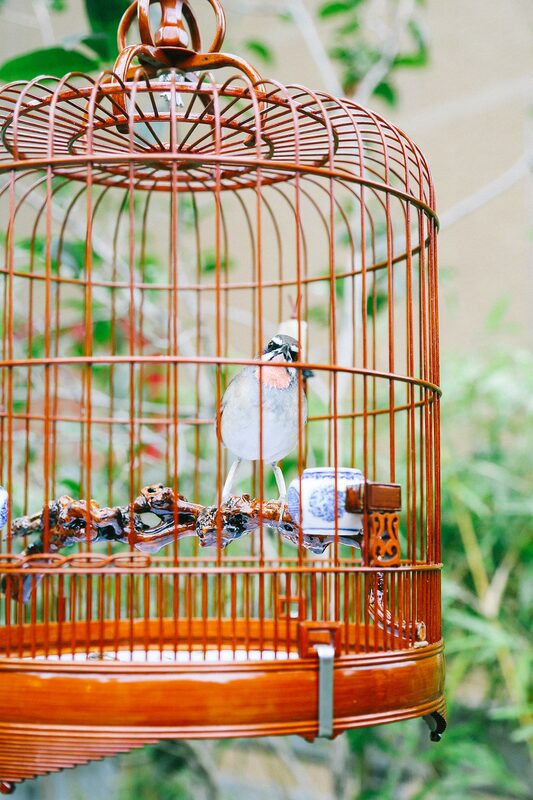 Exotic song birds can be found all around the garden in decorative cages with their owners socializing nearby; some for sale and others for showcasing. 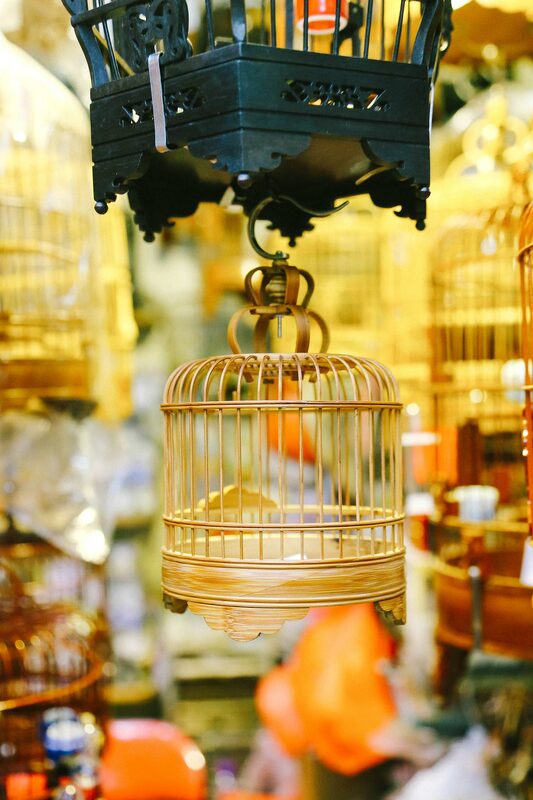 Inside, stalls sell all manner of bird related items; including beautiful bamboo cages. I love when a market stall is dedicated to a single product. 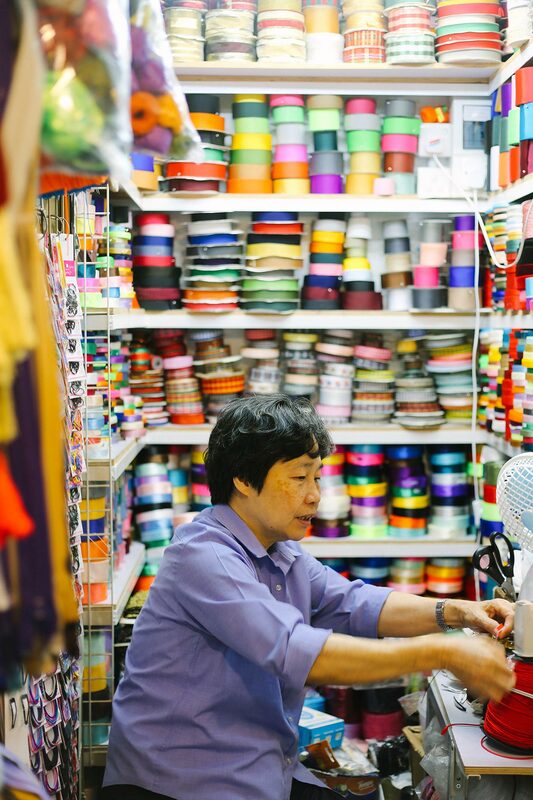 This steep cobbled laneway of stalls is no exception, ranging from those specializing in costumes and wigs, buttons and ribbons to lanterns and souvenirs. I love the tassels on display at the ribbon stalls. My taste in ceramics is generally minimal, but I’ve really come to appreciate the detail in Chinese ceramics. This tiny pottery store is filled with a range of styles. 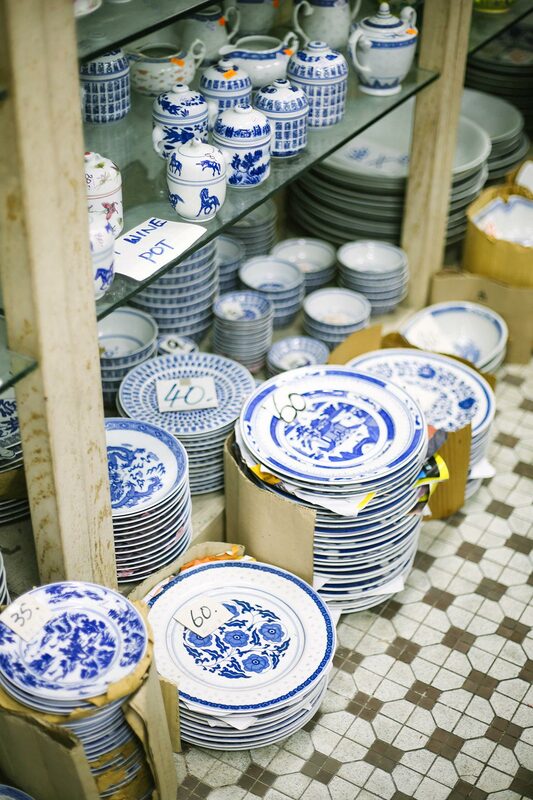 While there are some more colorful pieces in store, much of the selection comprises of blue and white wares in their many forms – chopsticks, spoons, bowls, cups, vases and more. 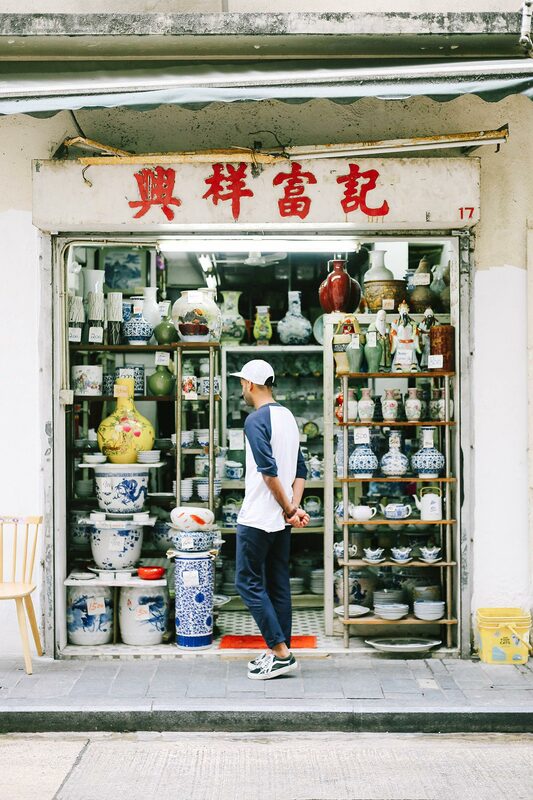 This second hand clothing shop is a rarity in the middle of central. Downstairs is full of people rummaging but upstairs is the best, especially for men’s clothing. It’s packed to the rafters and really takes time to dig through. There’s a large selection of utility jackets, denim and overalls. 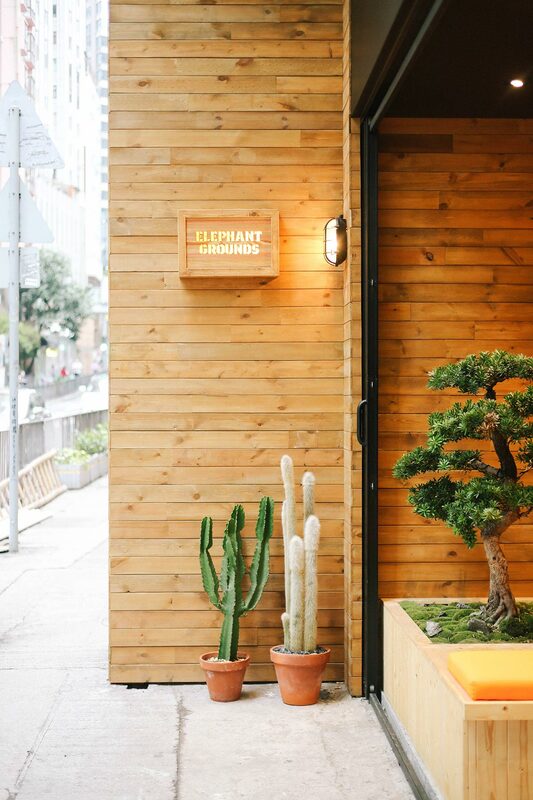 Elephant Grounds is a micro roaster with a sprinkling of stores across Hong Kong. 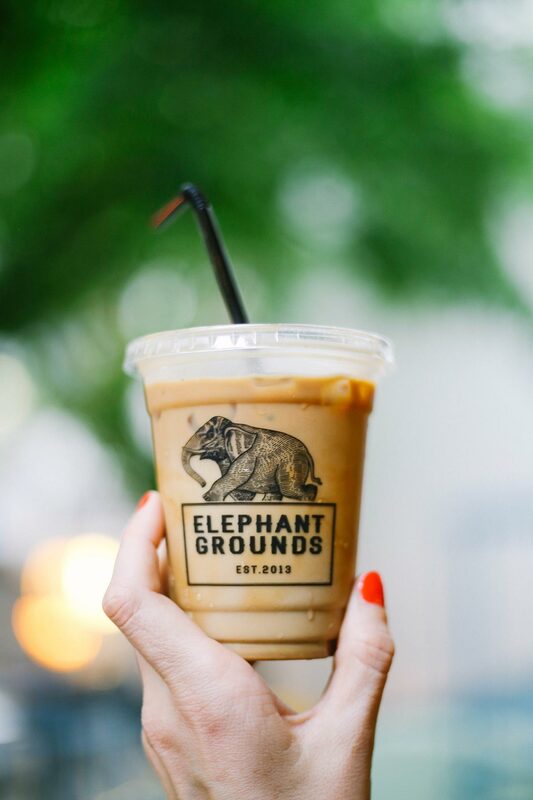 Their original location on Gough Street is in the back of clothing store WOAW, with a small counter and outdoor deck for sipping their delicious coffee among the trees. 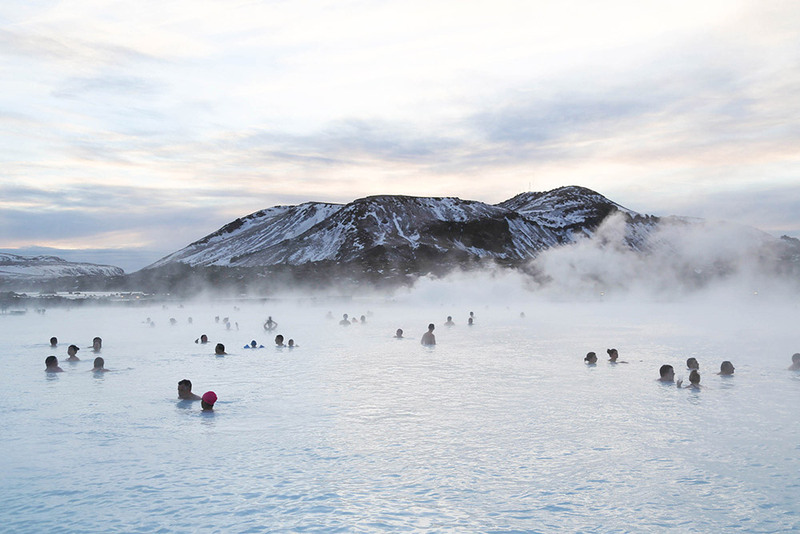 Visitors can take their time here and enjoy their ice-cream sandwiches, which have a cult-following. At Cafe Deadend you’re greeted outside with marble tables beneath flowers in bloom, while inside you find a sleek counter space and a huge print from the ‘Architecture of Density’ series by photographer Michael Wolf. We liked their creamy matcha latte and refreshing ginger lemon drink. 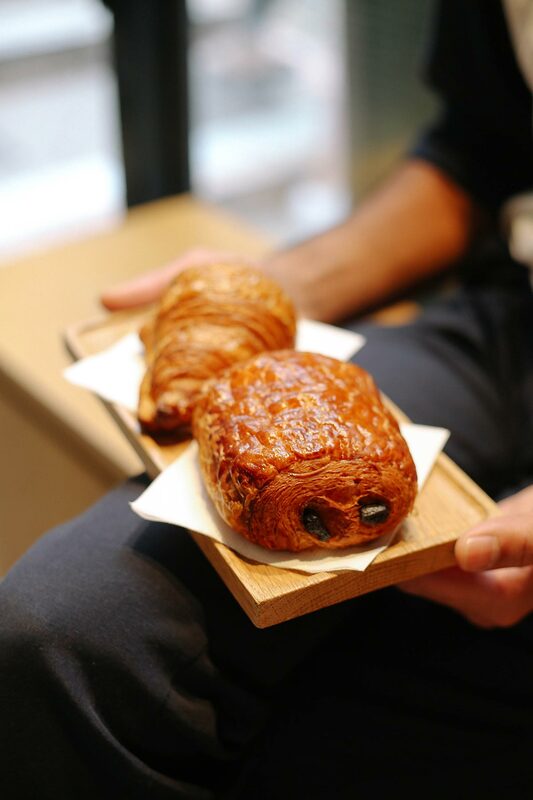 Their sister bakery Po’s Atelier is also next door. 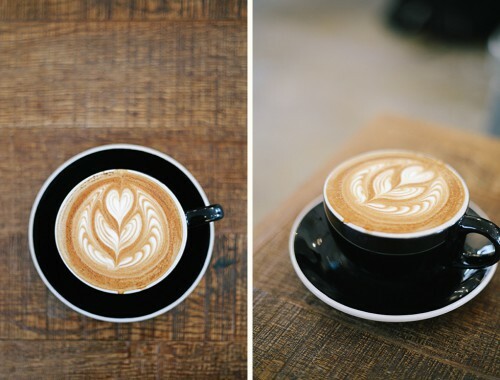 A contemporary cafe and coffee shop, The Cupping Room spills across two floors. We saw an incredible eight baristas stationed behind the tiny counter, rushing plates of avocado and poached eggs upstairs to the dining area. 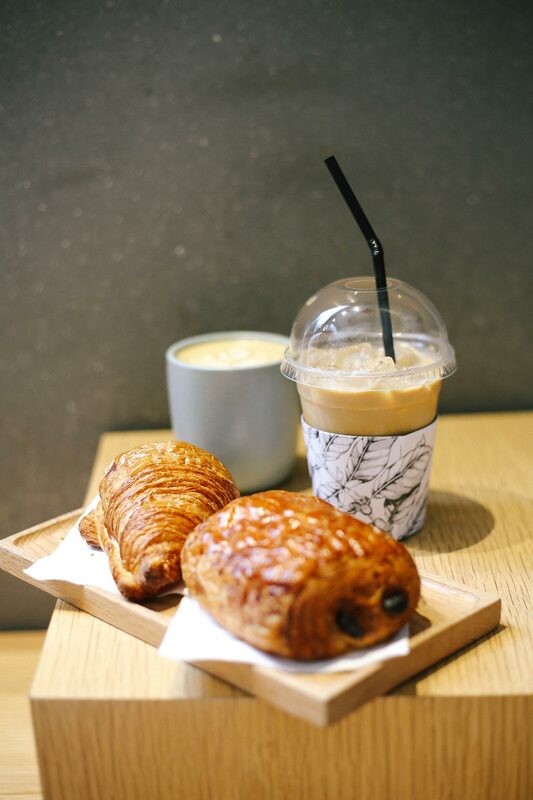 The coffees were delicious, as were the pastries we sampled; the chocolate croissant was heavenly. This gorgeous little coffee shop is packed on weekends. It has a minimal industrial interior and great iced lattes! Outside you can sit on stools and makeshift tables, where we made friends with a local walking her gorgeous puppy who refused to move away from our feet. They also have a sister whisky bar, don’t confuse the two! 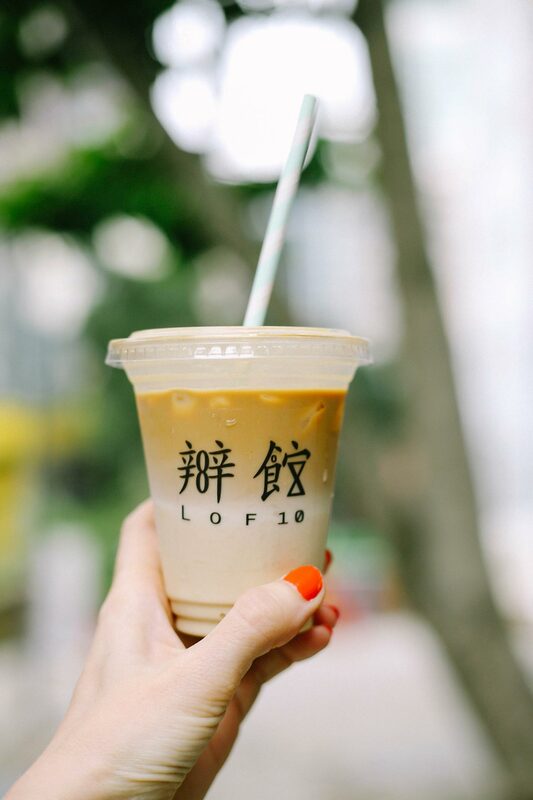 Located in the heart of Lan Kwai Fong’s maze of nightlife spots, this specialty coffee shop stands out from its neighbors – though follows a similar late-night timetable. 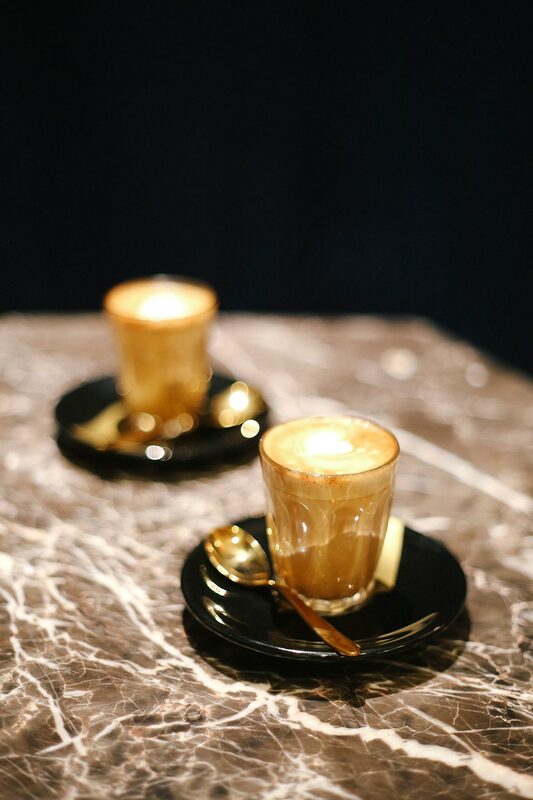 The interior is sleek with marble coffee tables and gold cutlery. 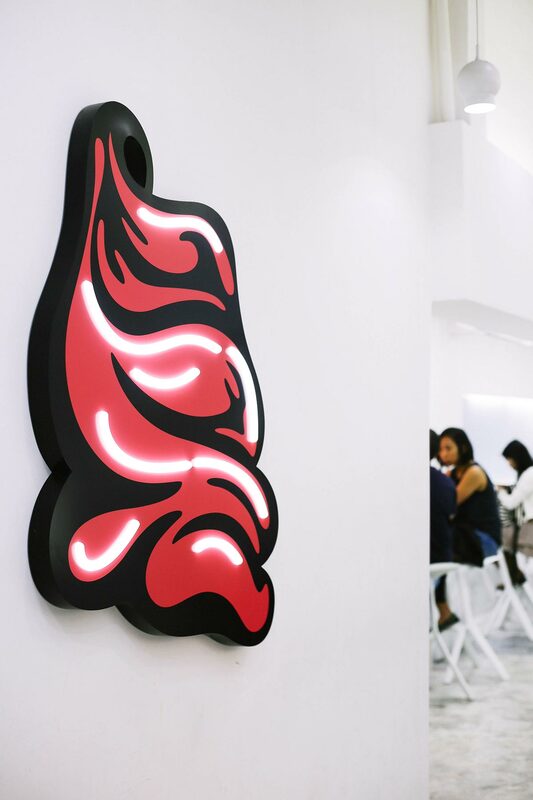 This location exclusively serves a coffee that comes in a dark chocolate-lined ice cream cone; it’s on my list for next time. Mido Cafe is one the few classic Hong Kong cha chaan tengs (see below) that has managed to keep it’s nostalgic interior intact. 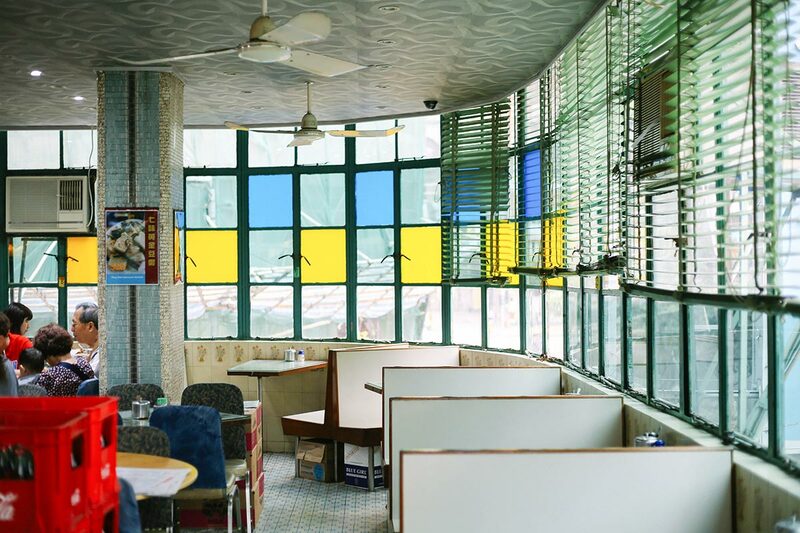 Grab a seat upstairs and take in the patterned tiles on every surface and the view from the teal green windows. The menu has over 200 items on it and service is brash; but it’s all part of the charm. We liked the baked rice with spare rib in tomato sauce, the fluffy french toast and the iced yuenyueng (a local drink of coffee mixed with tea). 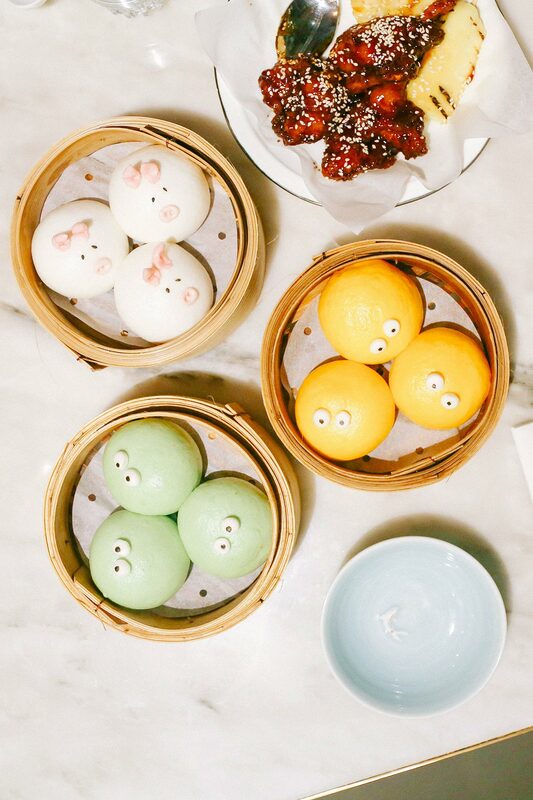 Yum Cha are known for their adorable dumplings that are almost too cute to eat! 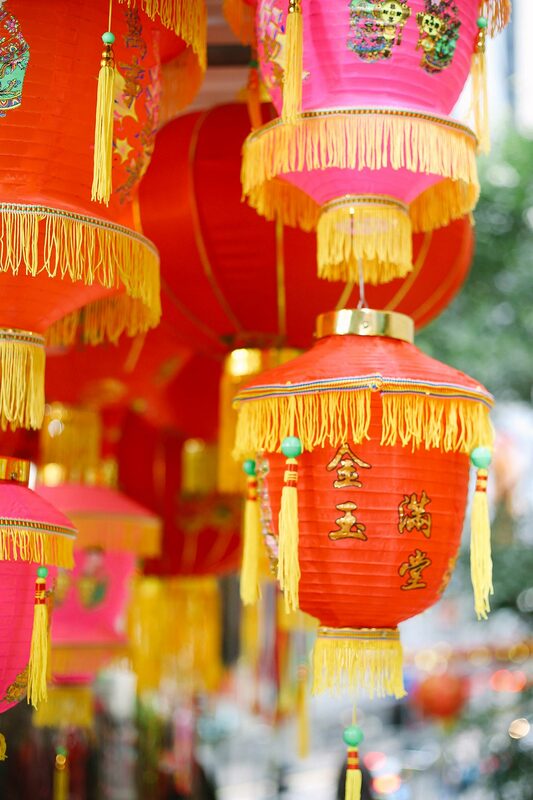 The menu includes dim sum, along with modern Chinese dishes. 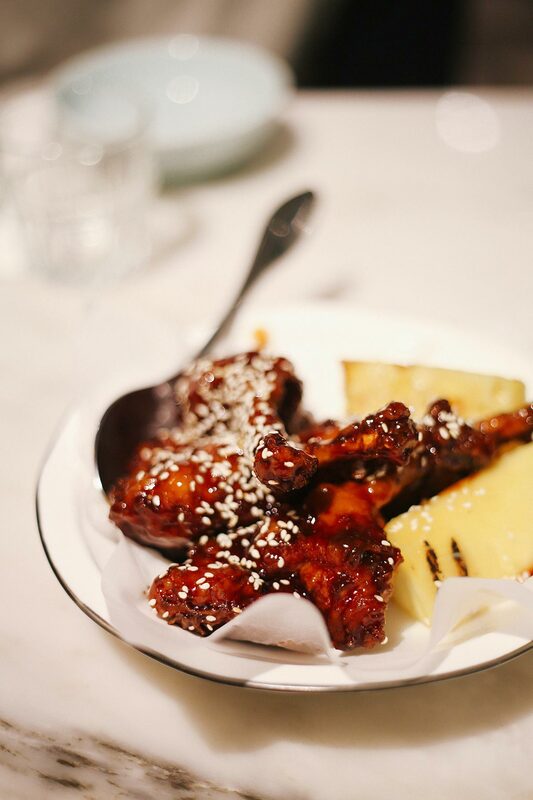 We liked the BBQ piggy buns, hot custard buns, green tea molten buns and crispy sweet and sour wontons; but absolutely loved the sticky honey balsamic wings. Impeccable service in a gorgeous space (including a truck indoors), this isn’t the cheapest dim sum but it might just be the most adorable. You know a restaurant is probably going to be pretty good when they’ve been listed in the Michelin guide for multiple years. 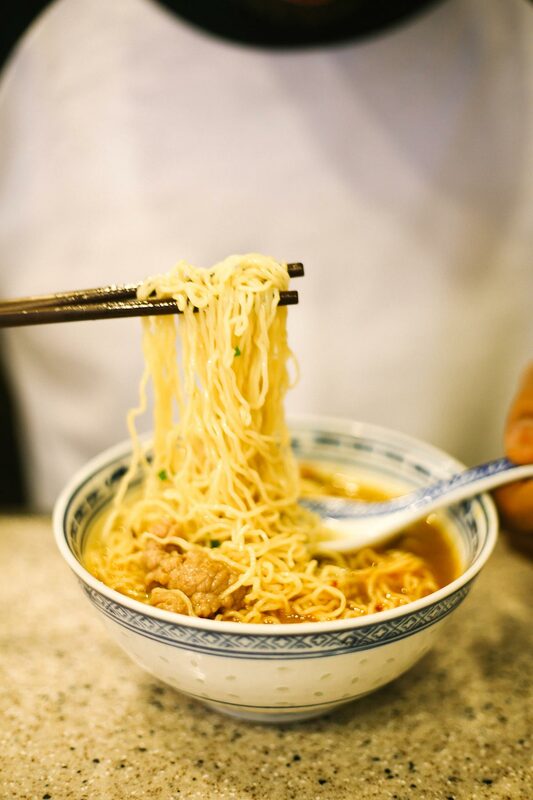 This small shop turns out steaming hot bowls of noodles with incredible speed. 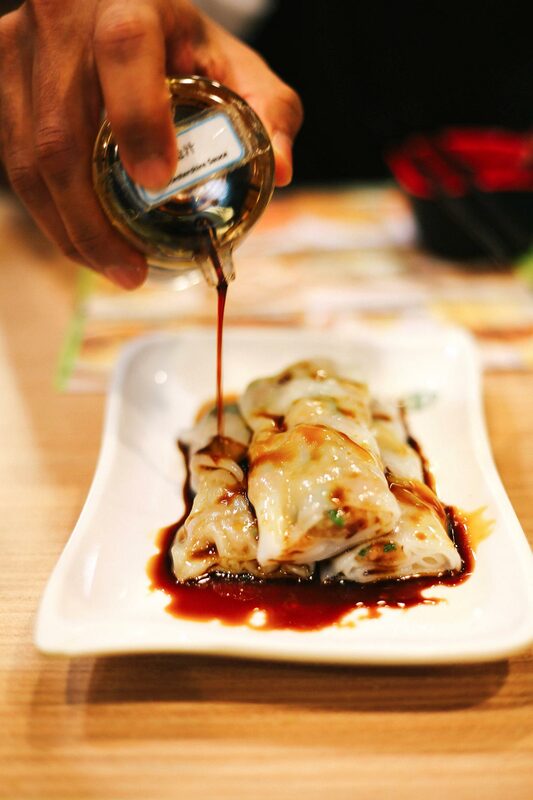 The menu is short with only a few variations; shrimp wonton, beef or fish ball. 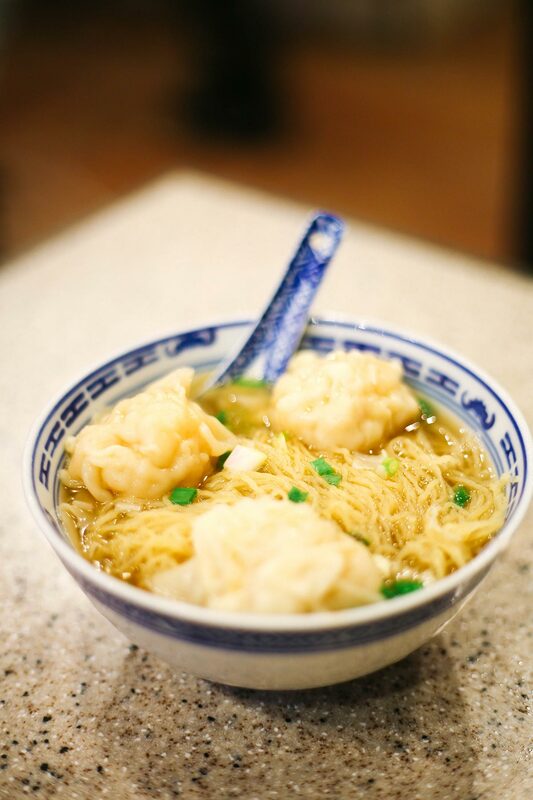 I loved the shrimp wonton, the noodles are light and stringy (in a good way) and the broth is tasty – even better with the homemade chili sauce served on the side. A most excellent breakfast. Note: Mak’s Noodle is another local institution, located directly across the road. 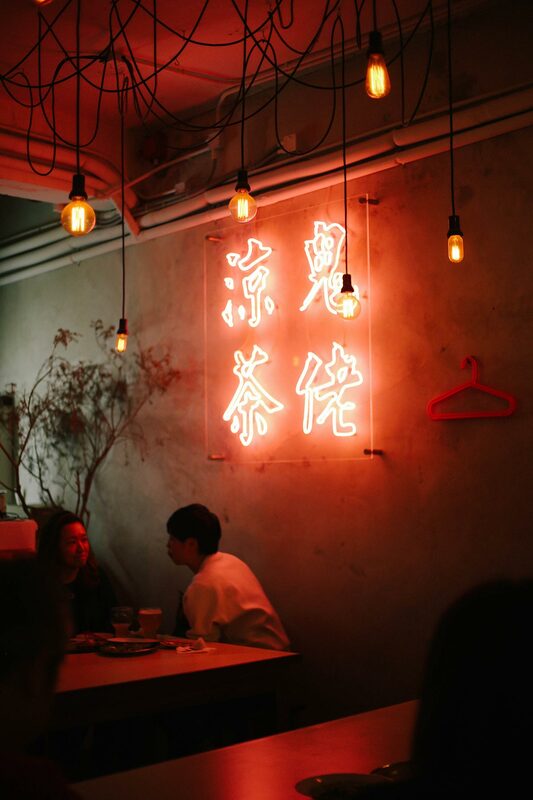 This two-storey tea house is known for its authentic and traditional dim sum, served in a chaotic, flourescent-lit space that is decades old. Shared seating is the norm here and the dim sum trolley service (6am-4pm) is quite the experience. 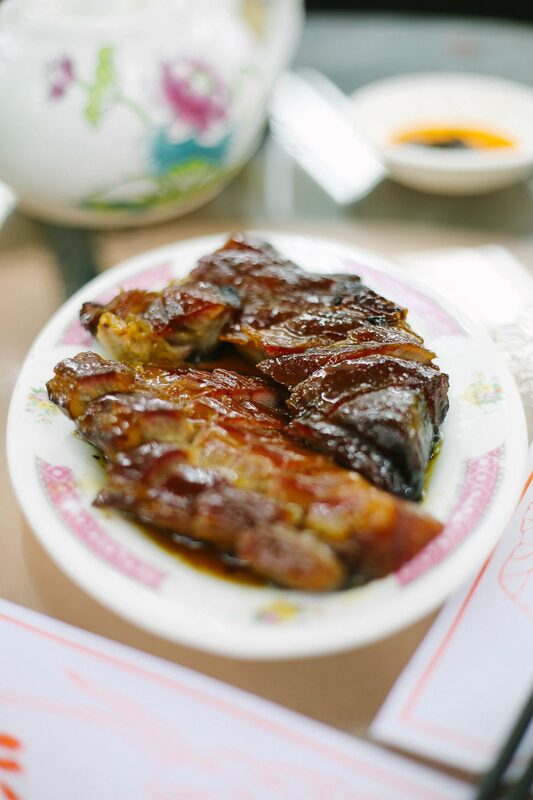 From the dinner menu, we loved the special pork rib, fried noodle and garlic bok choy. 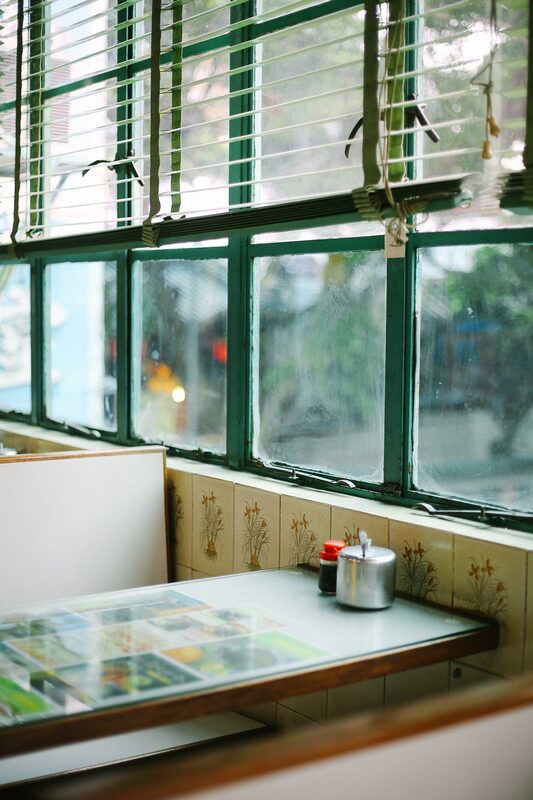 A classic Hong Kong eatery. 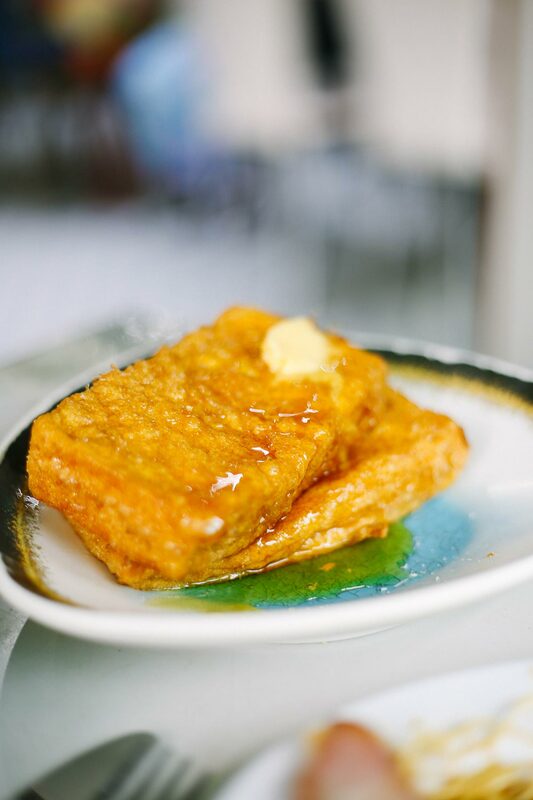 This dim sum restaurant is famous thanks to its status as one of the cheapest Michelin-starred restaurants in the world. 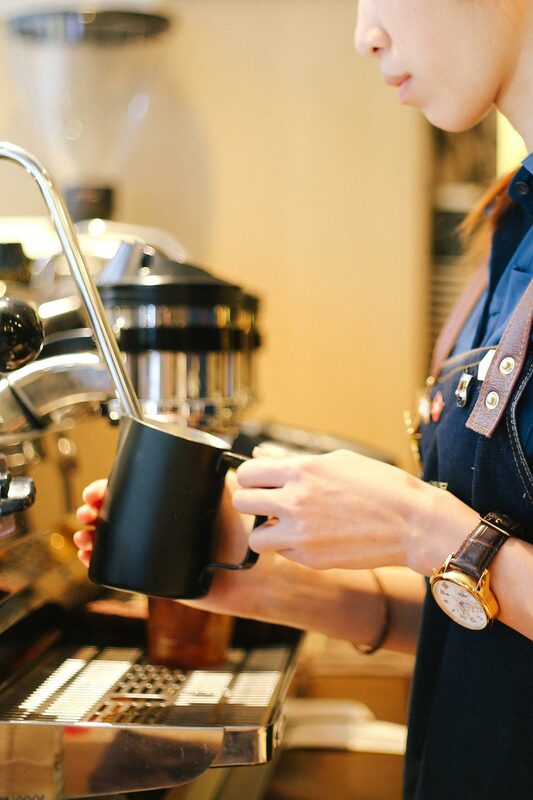 When you arrive, grab an order slip from the front counter and pencil in your order while you wait. We liked the char siu bao (baked buns with BBQ pork, almost like a scone), prawn dumplings and steamed egg cake (super light and fluffy). 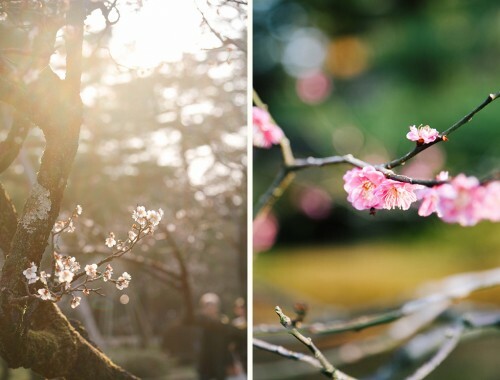 This branch can be a little tricky to locate, head towards the Airport MTR gates to find it. 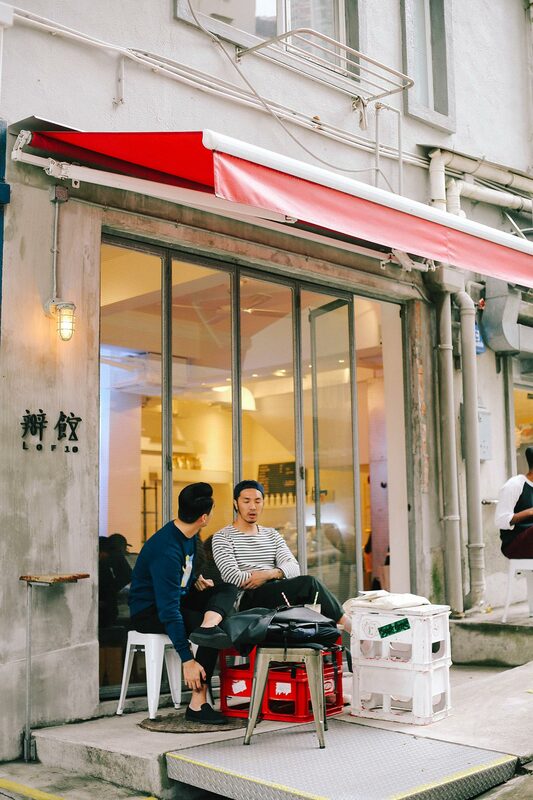 This chain of cafes is a local institution, with the most famous one located in the heart of Central. 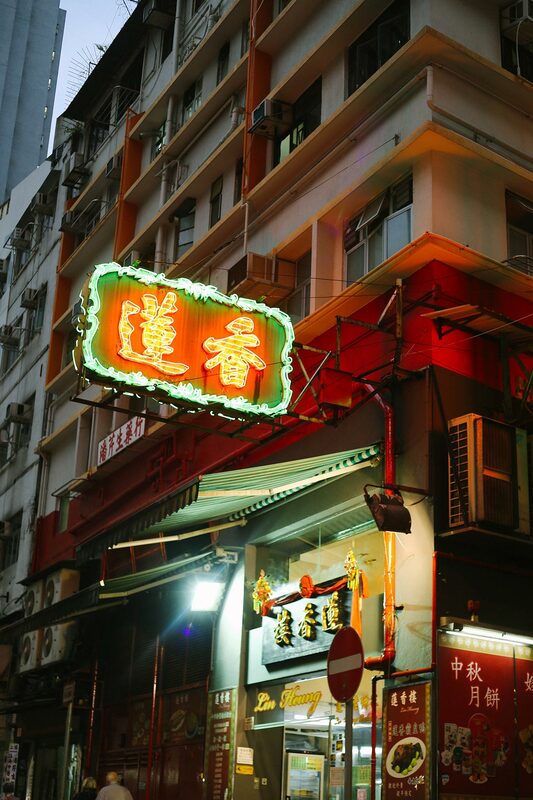 This cha chaan teng (see below) offers many Hong Kong classics; such as milk tea, pork chop buns and sizzling prawns with fried noodles. It no-longer resembles the casual diner I first visited years ago and is now a contemporary space with a golden exterior. 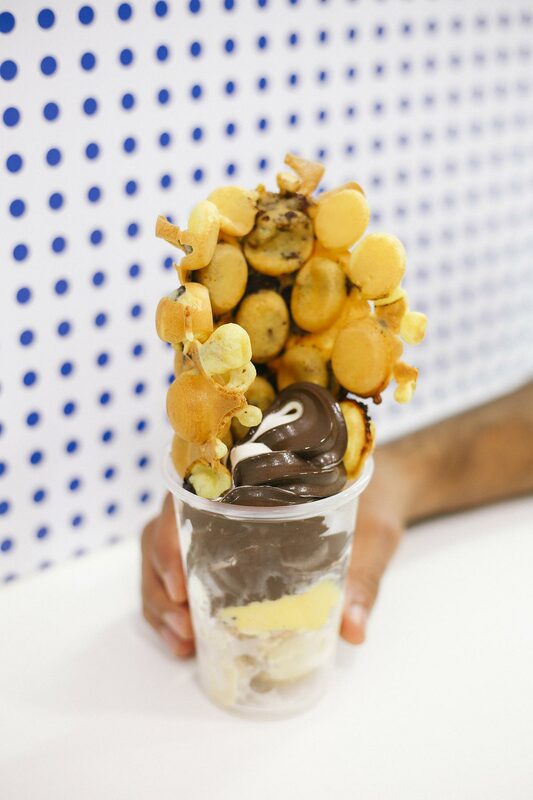 If you can only eat one dessert in Hong Kong, make it the famous Night Wolf from Oddies. This is a chocolate chip egg waffle (eggette) jammed in a cup with soft gelato, butter crumbs, ice cream of the day, passionfruit panna cotta and crunchy flakes. Holy moly, this dessert is indulgent and delicious; I only wish it would never end. 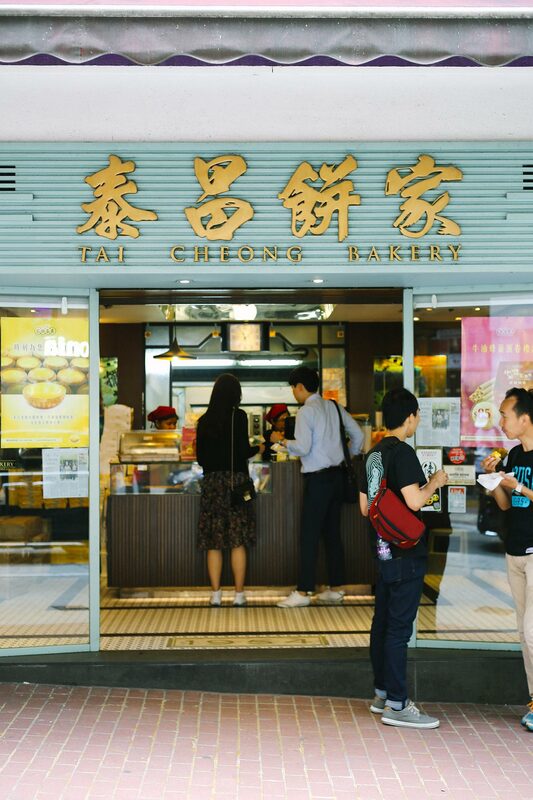 Most famous for their egg tarts, Tai Cheong Bakery usually has a line out the door. 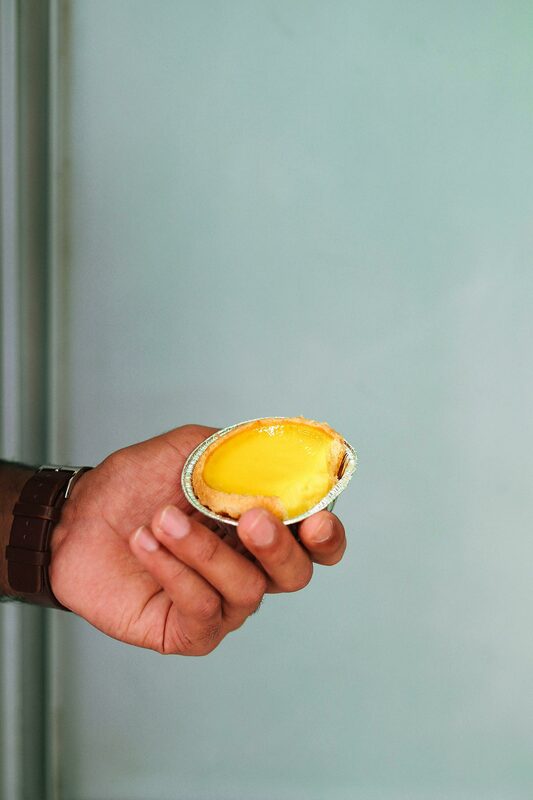 These treats are worth the wait, the pastry crust is buttery and crumbly with a light and creamy egg filling that is perfectly sweet. They are best eaten warm, fresh out of the oven. Other treats on offer include sugar puffs and pineapple cakes. 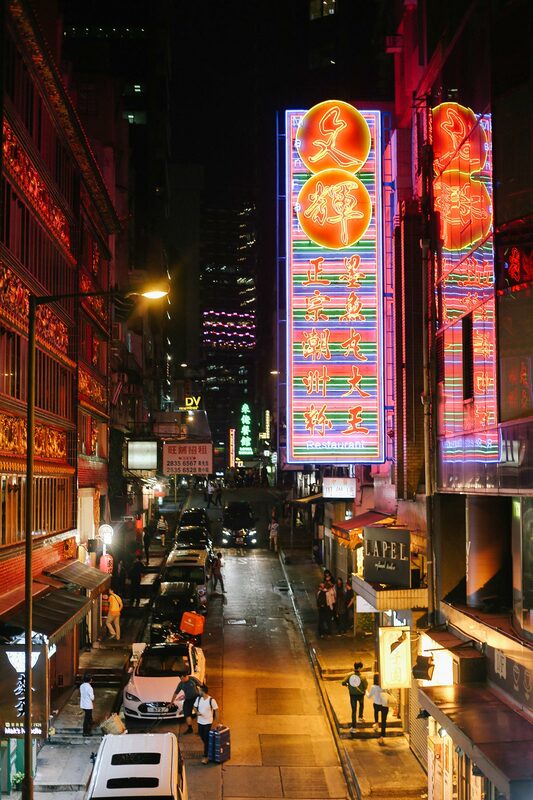 Hong Kong has no shortage of bars and nightlife, with endless ways to spend your evenings. 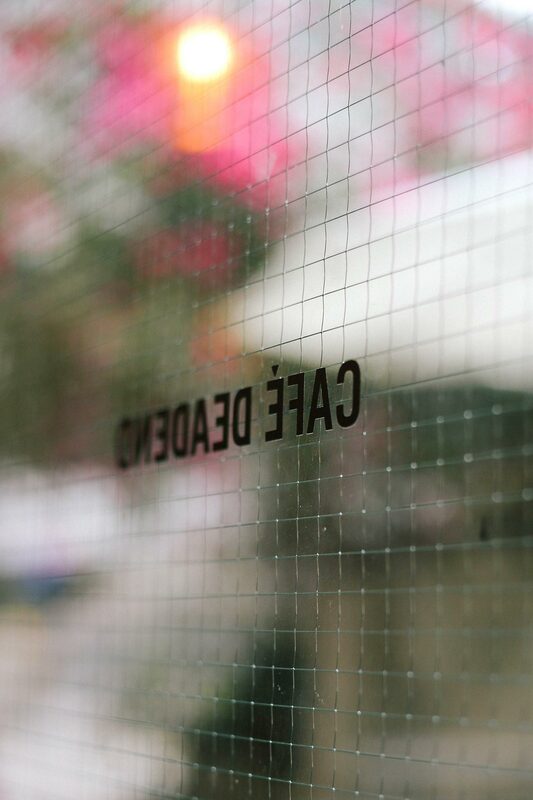 One such place is 65 Peel, a craft beer pub with a tiled entryway that leads to a concrete and industrial interior. 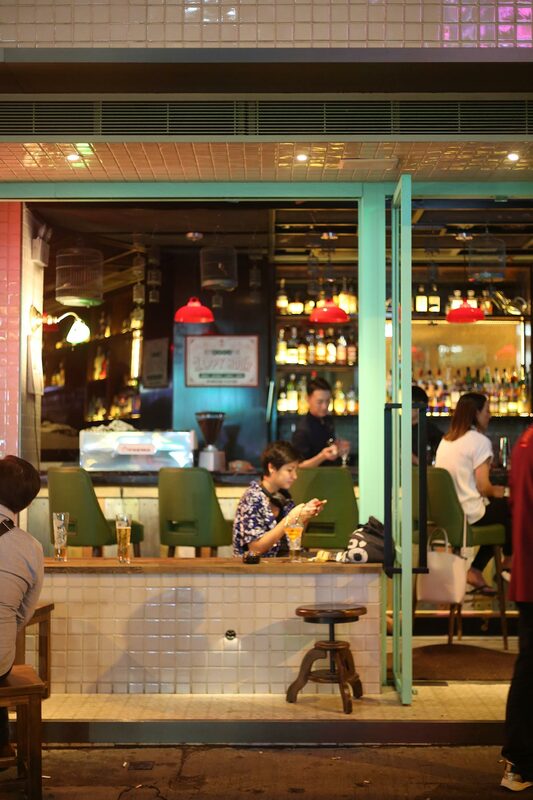 The menu focuses on Hong Kong brewers such as Hong Kong Beer Co, Lion Rock, Moon Zen, Kowloon Bay, Mak’s and Black Kite. 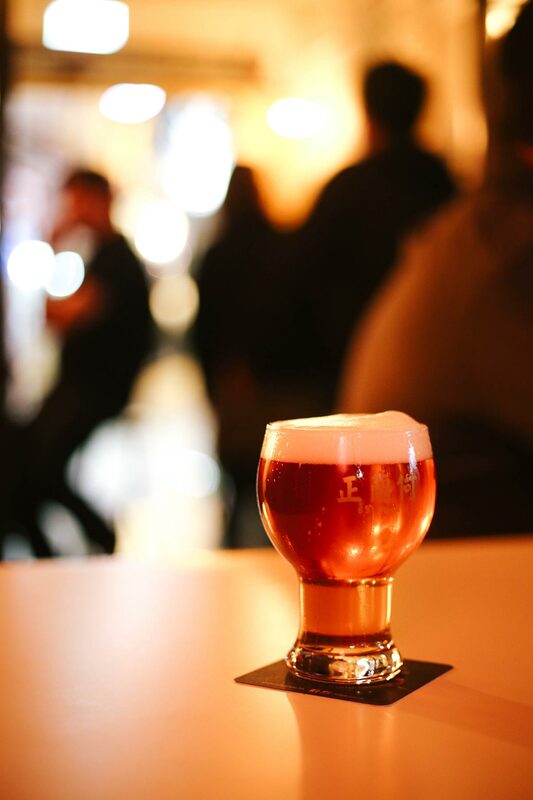 Just down the road is 99 Bottles, a concept that combines the local street drinking culture with craft beers. 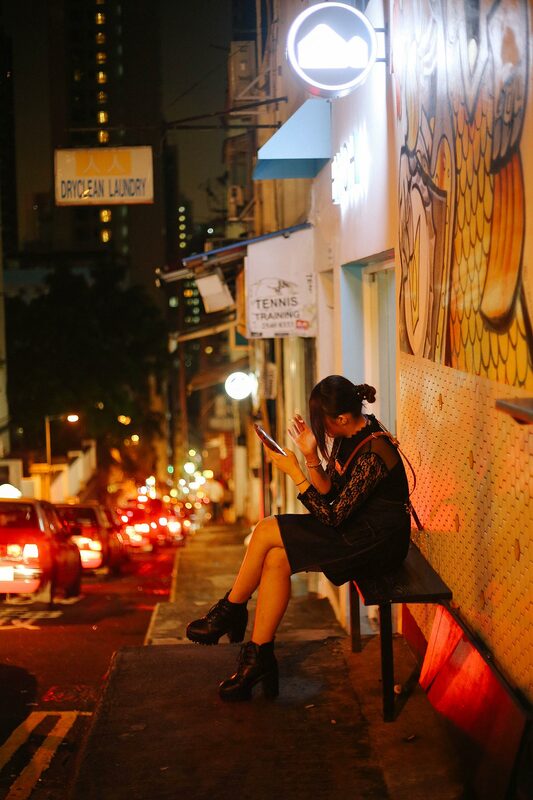 Choose from the brightly lit fridges that line the wall and find a spot on the street outside to soak up the evening. I liked the ‘Oh, Bacon!’ smoked ale from Black Kite Brewery. 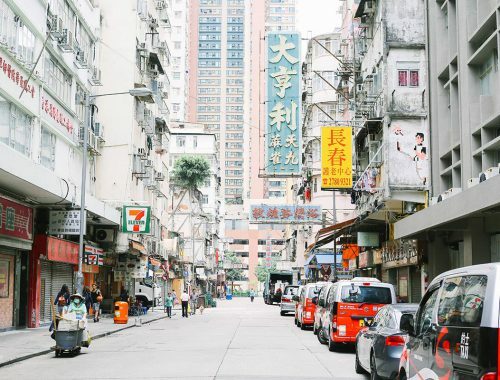 A classic style of Hong Kong eatery are cha chaan teng, known for their affordable and eclectic menus; typically a blend of Hong Kong and western cuisines. 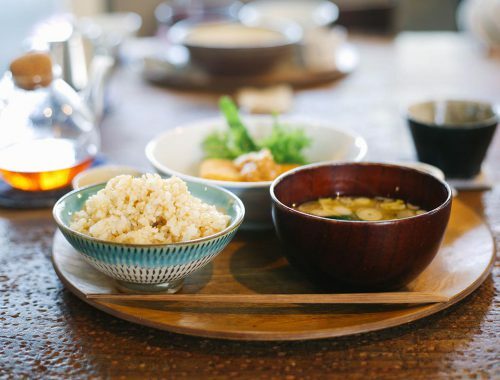 They offer comfort food – everything from wonton noodles to sandwiches, with popular dishes such as Hong Kong-style milk tea, condensed milk on toast and fried instant noodles. 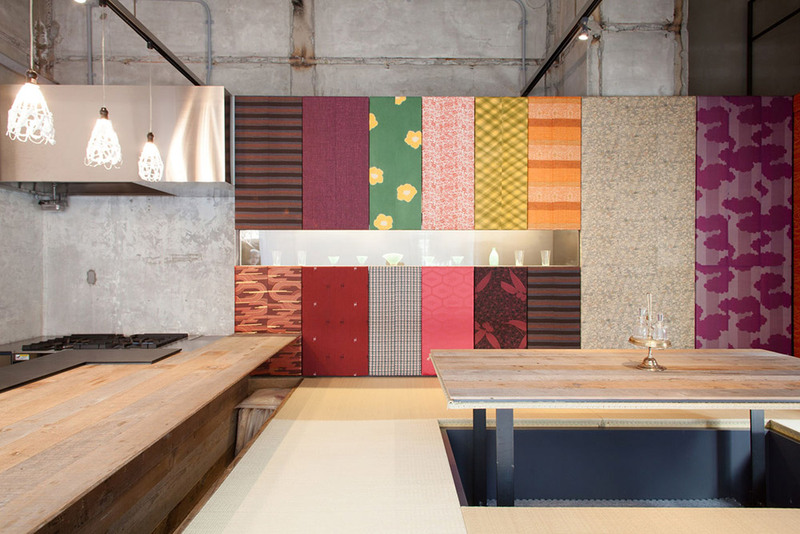 Interiors are often tiled, service is fast-paced and they are an important part of the local food culture that is slowly disappearing. Mido Cafe (above) is one that remains. Every Sunday is Hong Kong is an official public holiday and since the 1980’s migrant domestic workers have gathered on this day of rest. 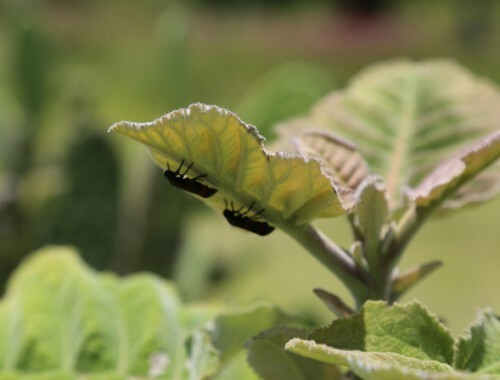 Domestic workers ‘live-in’ with their employers, so this day is an opportunity for this largely Filipino and Indonesian community to come together. Thousands of women gather in public spaces, creating picnic areas out of cardboard boxes and socializing with their community; playing cards, painting nails, eating lunch. The city is totally transformed and it’s amazing to watch these women come together. 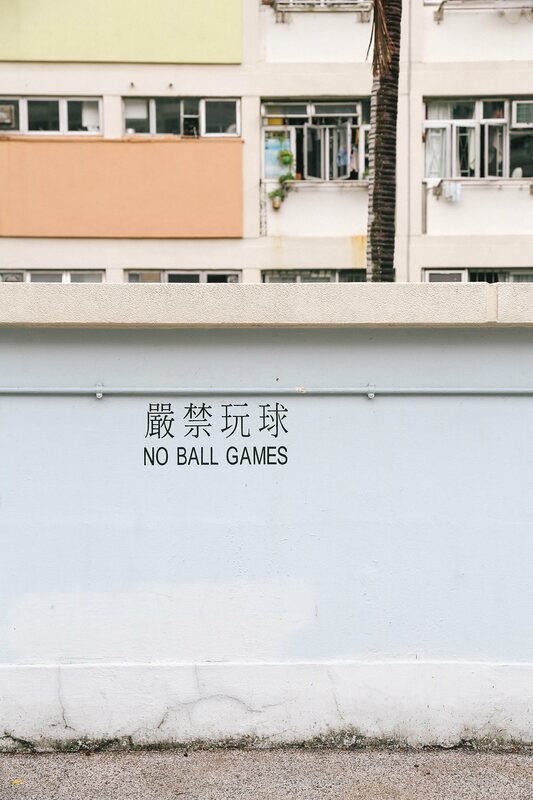 Alcohol is expensive in Hong Kong and the law allows drinking in public. This has resulted in a popular street drinking culture of purchasing drinks from stores and openly drinking them on the streets. 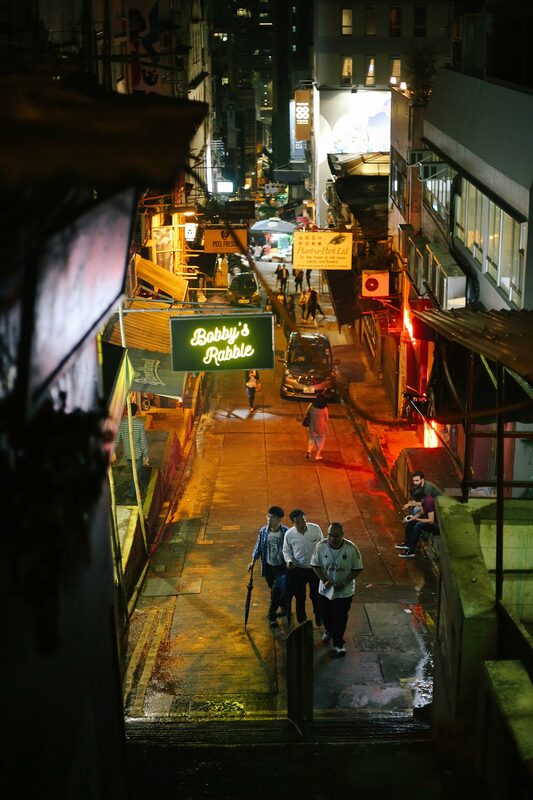 The crowds spilling out of the bars blend in with those gathered on the streets – especially in Lan Kwai Fong, an area known for it’s nightlife.